Students celebrate community and prepare for the challenges and excitement of high school and beyond. The 13/14s social studies curriculum centers on the concept of constitutional democracy and provides students with opportunities to consider what it means to live in a democratic society. Through a rich array of inquiry and hands-on activities, students investigate and discuss core questions of democracy—who holds authority? ; how do we balance our individual rights with our responsibilities towards others? ; what actions can we take to protest inequality and injustice? In a Mock Supreme Court unit, students play the roles of justices and lawyers and confront dilemmas drawing on several constitutional amendments, ultimately presenting their cases to actual lawyers. A spring trip to Washington, D.C. is the culmination of an eight-week Mock Congress simulation. Current events presentations by students throughout the year keep the government study tied to present-day events. Students expand their use of technology in the 13/14s and build a foundation for responsible technology use. Each student is assigned a Chromebook and all classrooms have interactive boards, document cameras, and iPod touches, as well as access to HD video and DSLR still cameras. Each class creates its own technology agreement, which serve as guides for using school technology and advising students on the use of social media. The Human Growth and Development curriculum for 13/14s is The Teenage Years: Potentialities in Human Growth and Social Justice. Over 16 weeks, students study peer pressure, racial identity, gender identity and sexual orientation, and advocacy. While exploring their own sense of identity, students learn to see and confront injustice, to be upstanders rather than bystanders, and to engage difference through curiosity, decency, and respect. Students explore literature, journal writing, and creative and expository writing. They study Greek mythology, visit the Metropolitan Museum of Art, and read Sophocles’ Antigone, as well as portions of The Iliad and The Odyssey. They continue to deepen their enjoyment of reading by reading and discussing a range of literary genres in class and through independent reading and book reviews. Students in the Upper School are free to visit the library independently for classroom or pleasure reading purposes. The librarian helps them find books, authors, and subjects, and makes recommendations based on students’ expressed interests. On an as-needed basis, the librarian also provides reference materials and classroom visits to teachers to support curricular needs. 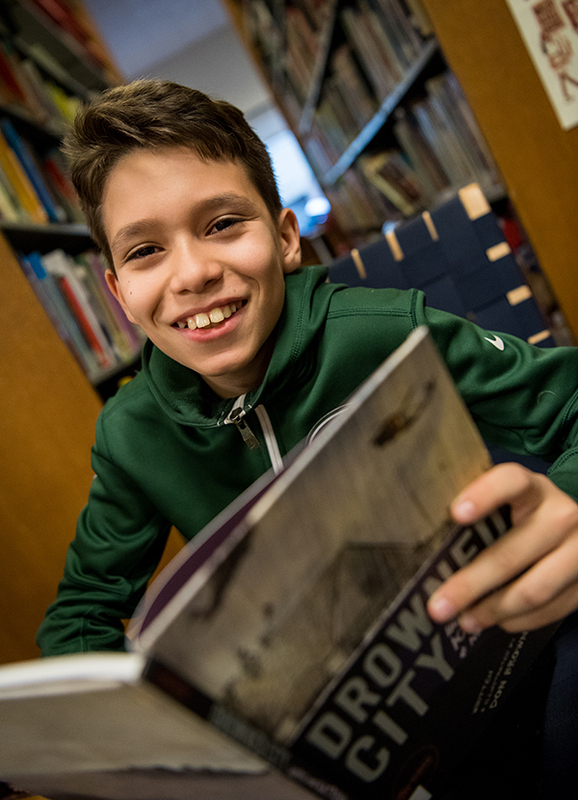 Throughout the Upper School, students are comfortable using the library on their own and asking for help when needed, and are familiar and comfortable with the responsibilities of being a member of the library community. The 13/14s World Languages Program is the culmination of the World Language experience at Bank Street. 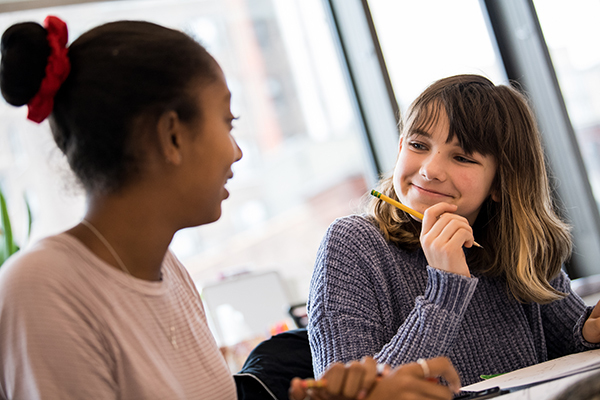 All the pieces come together now that students have acquired foundations in elementary French and Spanish that prepare them for their high school experience. Nearly all Bank Street graduates get high school credit for their language work and are placed accordingly. In Spanish, students increase their command of grammatical structures and writing and communicating about their own experiences, consolidating their speaking and writing skills. They also study topics ranging from pre-Columbian civilizations to Hispanic culture in the United States. In French, students create their own version of Greek myths in skits and dialogues and keep weekly journals in which they can write poems, dialogues, continuing stories, or simply record the events of their lives. Frequent dictation and written tests help them consolidate all that they have learned in their years of French at Bank Street. The 13/14s math program is the culmination of a school-wide approach to inquiry learning in math education. It’s the second half of a two-year study of algebra, with components drawn from geometry and algebra II. The curriculum focuses on teaching the algebraic concepts underlying each topic, rather than rote learning of procedures for solving specific problem types. Students use a variety of technology in the curriculum ranging from the use of scientific calculators, internet-based graphing software, geometric drawing software, and school-provided graphing calculators. While teachers support students in preparation for high school entrance tests, test prep is not part of the curriculum. 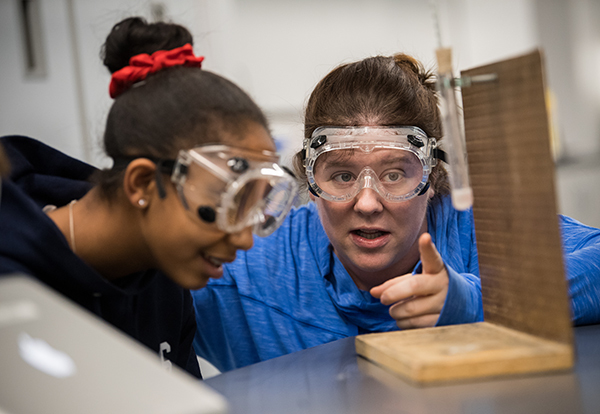 Introductory Physical Science is the focus of science in this year, as students try to answer the question, “What is matter?” In this laboratory-based curriculum, students explore the fundamental concepts of chemistry and physics to prepare for more advanced classes in high school. Through a process of guided inquiry, students gather evidence, make observations, and draw conclusions about the basic nature of matter. Throughout the year, students build towards the atomic model of matter through their study of physics principles. The Upper School technology program is developing quickly. The 13/14s classrooms use a range of technology for instruction, documentation, and collaboration. Art Portfolio supports students applying to arts-oriented schools as well as those who are interested on exploring a broad range of projects and sharpening both their creativity and technical skills. Set/Tech Design (Technical Theater) is for students who love working three dimensionally and are interested in interpreting literature visually for the stage. Drama is offered to all students interested in the dramatic arts. The Contemporary Monologue and The 13/14s Greek Myth in the fall allows students auditioning to the LaGuardia Drama program to work on individual monologues as well as solo and ensemble performances. The spring 13/14s musical engages students in many aspects of production and performance. 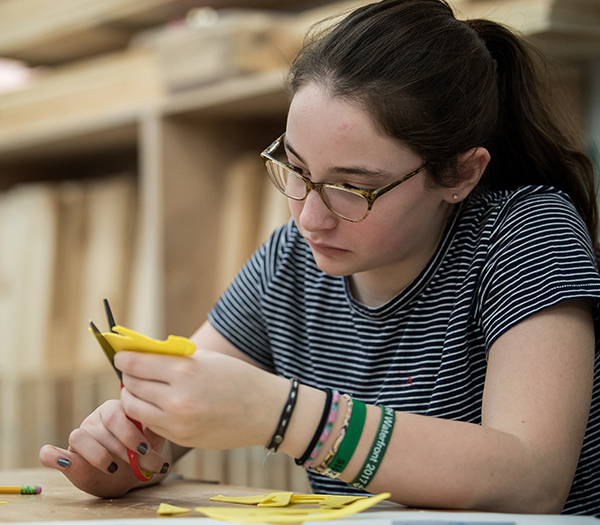 This combined music, art, and shop experience is the culminating tradition of Bank Street’s arts program and is a community-building activity for the graduating class. The annual musical is a beloved Bank Street 13/14s tradition, along with the Washington, D.C. trip and the 13/14s graduation celebration. In the 13/14s, the Music curriculum focuses on the history of American musical theatre. Students who choose music as their arts elective learn about Broadway composers such as Irving Berlin, Cole Porter, and Rogers & Hammerstein and study famous Broadway shows and performers. The program supports students who are auditioning for LaGuardia or other arts-oriented high schools. Music History teaches students about different eras of music, their leading artists, and their music. They learn how to describe the recordings they hear by using the elements of music. They do their own research and present to the class, learn from videos of performances, and go on trips to musical events. Music history is also used a motivation for making music; students often learn to play pieces that they were introduced to in the classroom. Music Theory teaches students about the essential elements of music: melody, rhythm, harmony, form, and expressive elements. These concepts are explored through a variety of activities and homework is tailored to each students’ knowledge in music theory. Music theory is integrated with playing instruments, singing, and the use of music software. 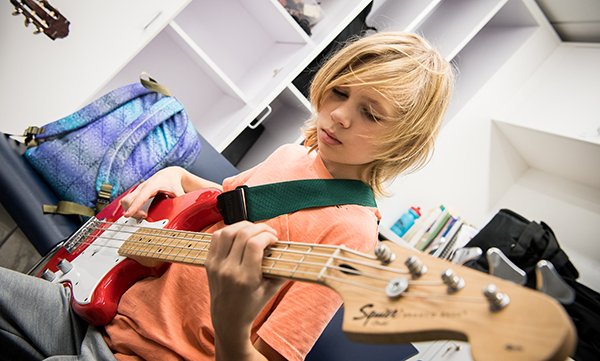 In addition to chorus, Upper School students can participate in a variety of instrumental music opportunities, including eight rock bands, a string ensemble, and a wind ensemble. The program in the 13/14s year seeks to meet the interests and capacities of all students through a wide range of physical activities. Gym is intended to be an enjoyable, exciting, and safe place for all students. By exploring a broad range of activities, students can discover activities and games they can enjoy throughout their lives. 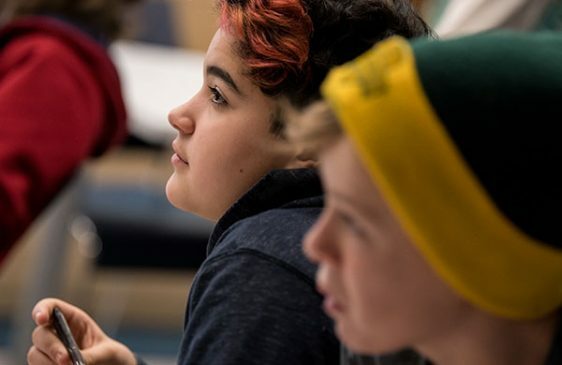 In the 13/14s year, students are expected to make responsible choices and to organize their own games, with a goal of involving all students in every class. Offerings include a wide variety of sports and games, including team handball, football, soccer, basketball, badminton, hockey, volleyball, softball, and frisbee. Stretching, aerobic exercise, and upper body strength training increase fitness levels and prepare students for fitness exams. Students also participate in cooperative games that stress teamwork, communication, and sportsmanship. 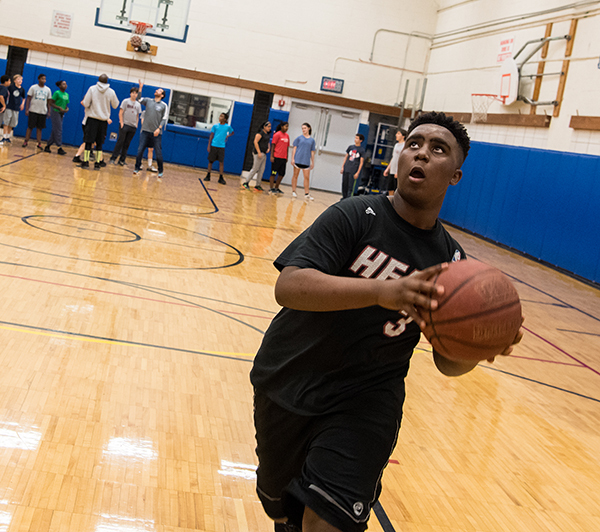 In addition to building sport-specific skills, students are expected to participate with effort, practice on task, take risks, apply skills to scrimmages or games, and understand rules and strategies. An after-school interscholastic sports program of soccer, volleyball, basketball, softball, and track and field for those who wish to participate. Students study gender and civil rights, spanning Reconstruction to the 1965 Voting Rights Act. There is a special focus on the role of ordinary people and the extraordinary leaders in initiating campaigns for lasting social and racial justice. Over the course of the year, students gain a deep understanding for ways in which the civil rights movement was a primary force for the expansion of democracy for all people.